Introduction: Peter Anthony John Edwards served with Cable & Wireless on CS Recorder (2) in the late 1940s, then on CS Edward Wilshaw in the early 1950s. His son, Pete Edwards, sends these photographs and stories from his father's cable service. Recorder has recently completed repairs to the Southport (Australia) Norfolk Island cable. The work involved laying a new shore-end at Southport. Recorder, like most cableships, has a full complement of pets. 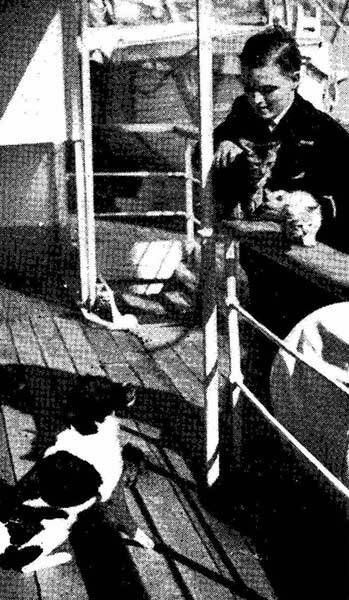 Third office Peter Edwards is seen here with "Bassa," the Kenyan tom cat, and "Mira," the Australian ginger kitten, on the rails. "General Smuts" looks on from the deck. 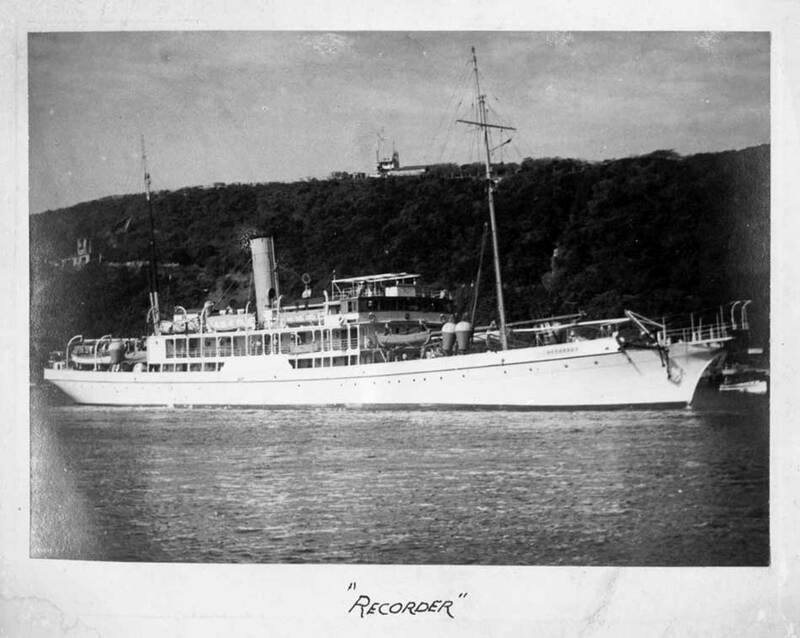 Recorder was built in 1902 as HMCS Iris to maintain the Trans Pacific Cable laid in that year, and was owned by the Pacific Cable Board. 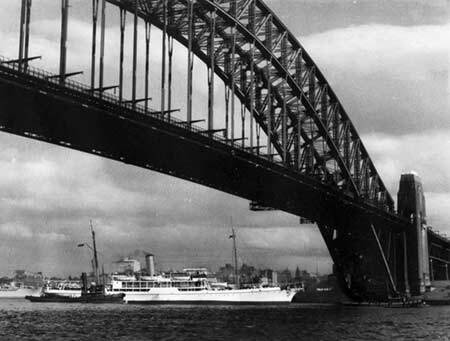 The ship was transferred to Imperial & International Communications Ltd in 1929 and renamed Recorder (2). In 1934 the company's name was changed to Cable & Wireless. While in service during World War I, Iris was involved in the capture of Count Felix von Luckner, Captain of the German ship SMS See Adler. In 1915 Luckner disguised his vessel as a Norwegian ship to run the British blockade, and made his way across the Atlantic capturing and sinking merchant ships. Luckner would board the ship and capture her crew, then scuttle the ship. 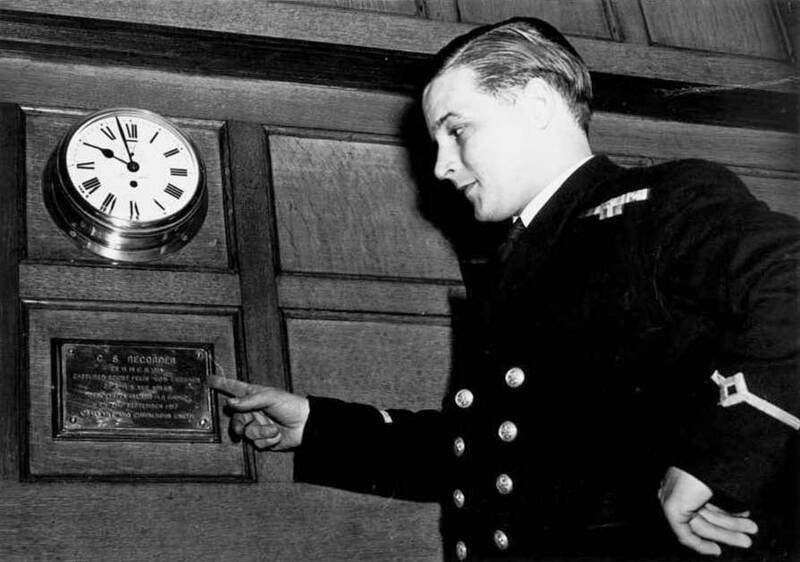 Over the next two years, it's reported that Luckner and his crew captured and sank 16 Allied ships without causing the death of a single crewmember. In 1917 the See Adler moved into the Pacific and continued her raids. On July 31st 1917 she anchored at Mopelia, French Society Islands, where she went aground on a coral reef and was destroyed, but Captain Luckner and five others set out to find another ship to capture and continue their raids. Luckner and his crew were eventually captured near Fiji by HMCS Iris, and spent the remainder of the war in an internment camp. The photograph below shows Peter Edwards, posed by the photographer, pointing at the commemorative plaque mounted on the Recorder. Pete Edwards reports that his father wrote on the back of the photograph: "I was placed in this ridiculous posture by the Press Cameraman who took the snap. See how fat I'm getting?" CS Recorder was taken out of service in 1952 and sold for scrap. Peter Edwards then sailed on CS Edward Wilshaw as First Mate. On the Edward Wilshaw page is a weather reports map drawn by Peter Edwards.